Christmas Eve is tomorrow!!!!!! Ah, I'm SO excited! Anyway, in my previous post, I shared 7 Christmas outfit ideas, one of which featured the coat I'm wearing today. 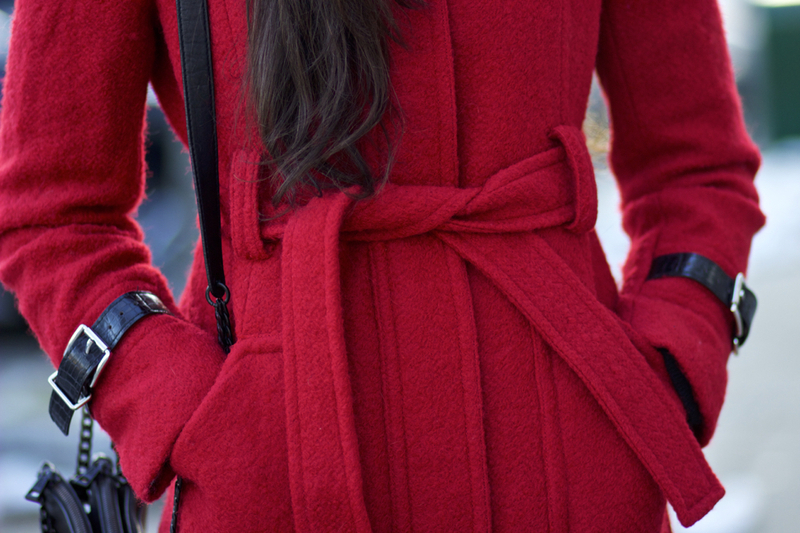 A red coat is such a great statement during the holiday season and after. 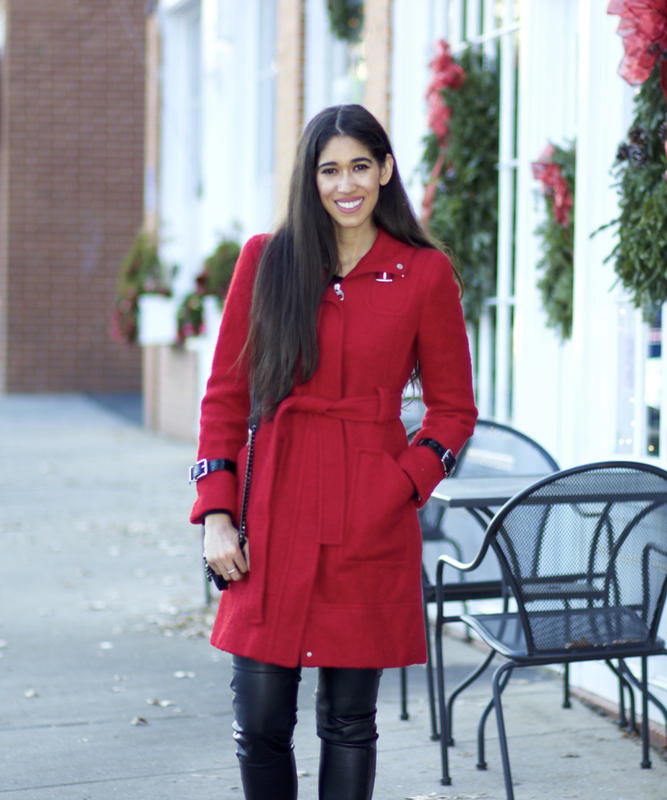 Yes, I believe you can still rock a red coat well after the holidays are over. In fact, I think the holiday season kicks of the wear your red coat season, haha. We've talked many times about how during the winter our outerwear is essentially our outfit because we're bundled up and concealing everything underneath. Coats are definitely one of those items that I think we can justify building a collection for, be it classic neutrals, statements with colors and/or patterns, as well as faux furs...ah, how I'm a sucker for faux fur! But of course, I suggest we remain practical in ensuring we have a versatile neutral coat first, such as black, camel, or navy before exploring other options, including red. When shopping for a statement coat, fit and style are imperative because, well, it's a statement, which means the coat is the primary focus of the look and so are the areas it enhances. I explained in last week's post the most universally flattering style, which I suggest you look for first to make life easier, an example in red would be this one from J.Crew that I'm loving. The sizes are limited, so I've shared other styles below according to where you'd ideally want/don't want attention to be placed for an optimal fit and look. As always, I hope you found my ideas and suggestions helpful, my dear friends! If you're unsure about your body shape and would like some help in determining so you can better select more flattering options and style techniques, watch my video here in which I explain how and where to take your measurements to find out. If you need any help, don't hesitate to leave a comment or send me a message, I'd be more than happy to help! I hope you have the most amazing holiday weekend, Merry Christmas and Happy Hanukkah to all who celebrate!